I entitled the name of this tutorial as such because of the sheer amount of misinformation that is being fed to consumers about this subject. The goal here is to both educate you about diamond fluorescence as well as dispel the myths surrounding it.  Many consumers are told negative things about fluorescence that simply aren't true 99% of the time. Many jewelers will tell consumers that diamonds with fluorescence tend to always have a chalky/oily/milky appearance that reduces the beauty and value of diamond. 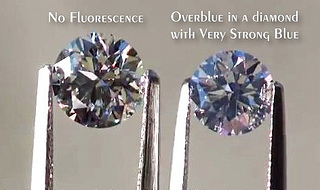 While it true that fluorescence can reduce the value sometimes the fact of the matter is that the negative oily/milky appearance exists in so few diamonds with fluorescence that when GIA conducted it's study on this very topic and found that consumers actually preferred diamond with fluorescence in both white and warm colors than without out and in the roughly 26,000 diamonds they used in their study, not enough could be acquired with the negative appearance. As you learned in the tutorial of diamond color, the depth of yellow hue that we see in diamond is due to the amount of nitrogen present in the earth's location where the carbon was crystallizing. The more nitrogen the more the yellow tonal body color it will exhibit thus influencing it's color grade. When diamonds graduate down to the yellow variety they take on what could be considered more of a creamy vanilla or antique lace chemistry to it which jives with the whole vintage theme of the older cut diamonds and as mentioned are absolutely gorgeous when the diamond is cut to maximize its optics. The brownish varieties can take on a light rosy pink hue too which is also beautiful as well. Here is how these colors look in the lab when being graded. While fluorescence in diamond generally graduates to a blue color, diamond can fluoresce in a variety of colors depending on the minerals present in the earth during crystallization. 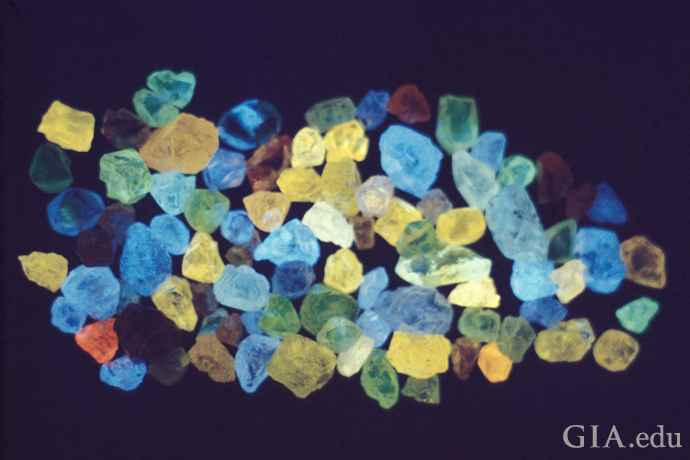 The various colors and strengths diamond fluoresce in can vary from red, orange, green, blue, yellow & white. One thing you need to be careful of when diamonds fluorescence in a color other than blue is it does increase the chances of the fluoresce impacting the transparency of the diamond in a negative way by making it appear oily/hazy in certain natural lighting environments. This can happen in diamonds that fluoresce blue as well but the chances are less likely with blue. The world renown Hope Diamond does in fact fluoresce to a very strong reddish/orange. Ok... let's knock out the negatives first. Much of the misinformation circulating about this subject focus' on the fact that certain diamonds with fluorescence will have that oily/chalky appearance I mentioned at the outset of this article and shown in parts 1 & 3 of our video on diamond fluorescence above.  As pointed out in the video if you are purchasing through us you need not worry as we pre-screen the diamonds that are purchased with us when you utilize our full service options. We will never encourage a diamond with a hazy appearance (although we have seen our competitors actually do this!). Another potential negative is that diamonds with any degree of fluorescence, even up to medium, can have a hazy/oily appearance if the fluorescence is mixed with other gemological features such as certain levels of graining found within diamond. 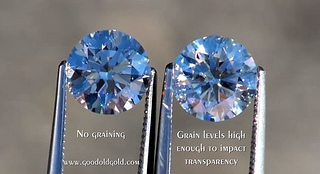 Graining is a gemological feature which is simply the result of irregular crystal growth of the diamond and can exist at various levels which can be observed critically under microscopic examination with cross polarized filters and when mixed with fluorescence can be seen in practical observation. The video below will show you that. More often consumers find diamond fluorescence to be positive rather than negative and there are quite a few instances when it is. When you are viewing 2 diamonds of equivalent color, even among colorless to near colorless diamonds, many consumers prefer diamonds with fluorescence as it can make the diamond appear whiter than it actually is. 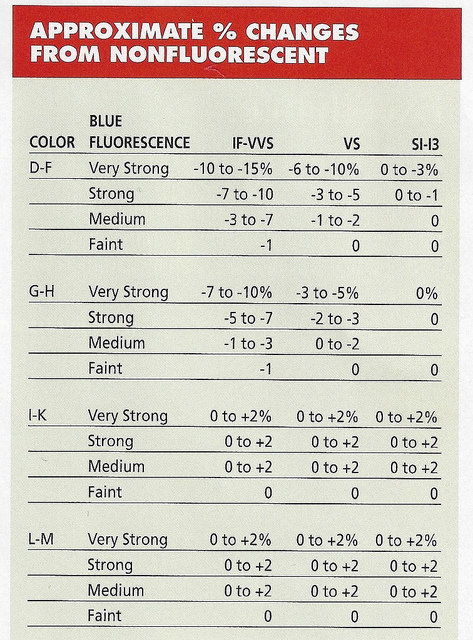 While it is true that white diamonds in the D-J color range look just fine with regards to color, there are many consumers, when given the option actually prefer even these colors with fluorescence. It can even make a D color with fluorescence appear whiter than a D color without it! Blue fluorescence can particularly be positive to those diamonds of the warmer tones of color like K, L, M, N, etc. Exposure to the UV rays emitted by the sun will cause them to face up whiter than they actually are. Combine that with a diamond with Ideal Optics and it can really play tricks on the eyes in a very positive way. Pricing! Because of the general amount of fear generated by misinformation there are some suppliers who will discount diamonds with strong or very strong fluorescence from hundreds to sometimes thousands over something that is clearly a non issue.  If you are having us hunt down for you a specific type of diamond and we find all of your criteria and the diamond happens to have some degree of fluorescence and ESPECIALLY if we acquire it at a discounted price for you ... count your blessings! In most circumstances the presence of blue fluorescence is a neutral aspect. In our main video at the top of this tutorial there are great examples that show fluorescence in various degrees alongside of diamonds with no fluorescence and there isn't any notable visible differences. This is the case in most of our observations and is also the case in GIA's study as well. As mentioned above this is not a hard fast rule and is only a general indicator. As more consumers learn their personal preference for fluorescence you could in fact see these "indicators" change due to market demand. That's the end of our diamond color section, now lets move onto Diamond Clarity.